Virtually any sales channel can be connected to the Shipwire Platform. Manage B2C and B2B shipments from a central portal. 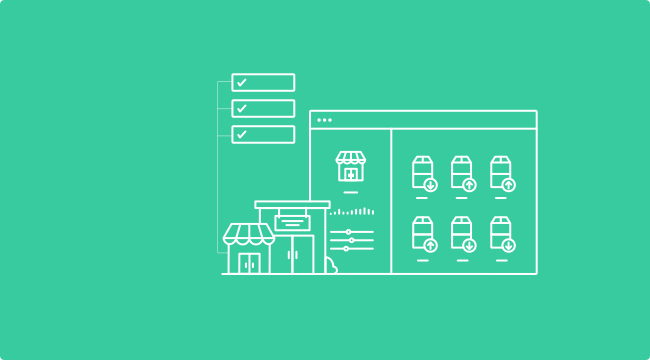 Use prebuilt connectors to integrate online stores and marketplaces like Amazon, eBay, Shopify, Magento and more. Store and ship case packs and deliver retail compliant inventory to international locations. Leverage flash sale and daily deal sites, and scale for spikes in demand. Top earning Kickstarter and Indiegogo initiatives manage backorders and shipping through the Shipwire Platform. Connect your online stores and marketplaces to the Shipwire Platform to automate shipping rates and manage orders and inventory. Browse the extensive list of prebuilt connectors below to find the integrations you need. Build a custom integration or contact us to request a new connection. Increase product distribution through B2B sales and meet the required Service Level Agreements for these channels. Achieve B2B retail compliance for wholesale shipping to stores and automate replenishment by integrating Commerce EDI with retailers. Drop ship and meet stringent Service Level Agreements and requirements around branded packing lists, order updates and tracking. Start selling direct-to-consumer and on major retail channels quickly.